Keep your Fiesta running cool with the Mishimoto low-temperature Fiesta ST thermostat. Optimal engine temperatures are imperative to achieving peak performance. This Fiesta ST thermostat activates at 160 Degree Fahrenheit versus the stock 207 Degree Fahrenheit, allowing the coolant to flow through the engine earlier. When you’re out hot lapping at the track, a lower temperature thermostat will be beneficial in keeping engine temps down. When paired with the Mishimoto Fiesta ST Aluminum Radiator, your Fiesta will maximize cooling efficiency. 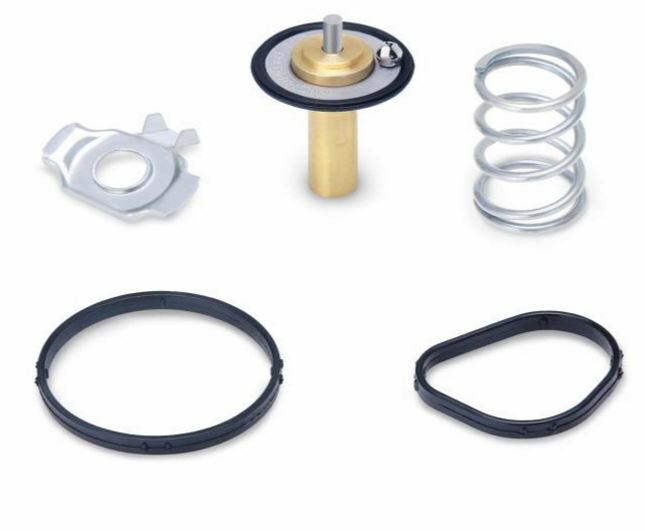 This Fiesta thermostat, like all our Fiesta ST parts, includes the unparalleled Mishimoto Lifetime Warranty.Mishimoto provides free replacement for accidental damages, basically if you are in an accident and your mishimoto part is damaged, they will replace it free of charge when you provide pictures and a police report.